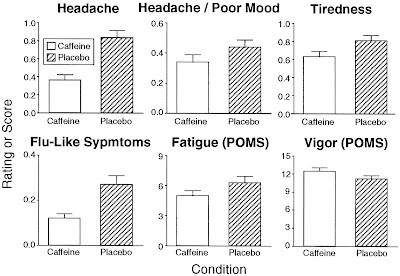 I researched the effects of caffeine for a blog post last year (here), which reviewed a research paper studying caffeine withdrawal. 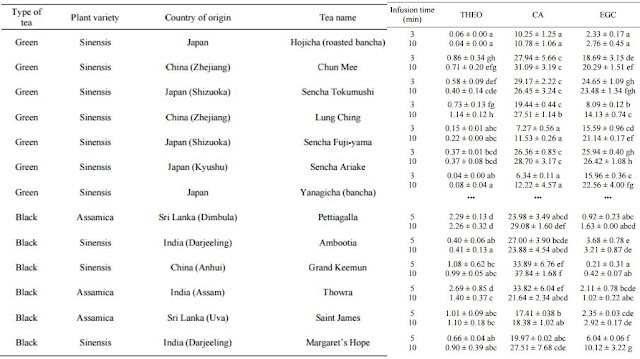 I'm revisiting the subject related to finding an interesting study of caffeine levels in different tea types. -a standard limit for caffeine intake is 400 milligrams per day. That's equivalent to roughly four cups of coffee a day, or eight to twelve cups of tea. Levels for both vary, but a rough average for a cup of coffee is 100 mg and 30-50 mg for tea. 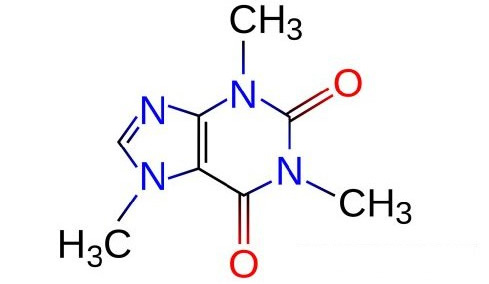 -over 500-600 mg. of caffeine per day typically causes negative side effects: anxiety, elevated heart rate, etc., which become more pronounced if consuming over 1000 mg.
-it is possible to become dependent on caffeine--and suffer withdrawal effects--when consuming as little as 100 mg. per day. 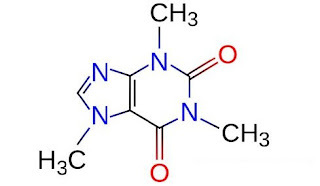 Some studies of the positive effects of caffeine don't factor that in, and actually demonstrate the negative effects of subjects undergoing caffeine withdrawal. Even ingesting small amounts of caffeine might eliminate withdrawal effects. -even if insomnia isn't experienced sleep cycle can be affected related to the normal brain-state patterns being altered. In other words, it's possible to sleep normal amounts but still experience fatigue related to the negative effects of caffeine. 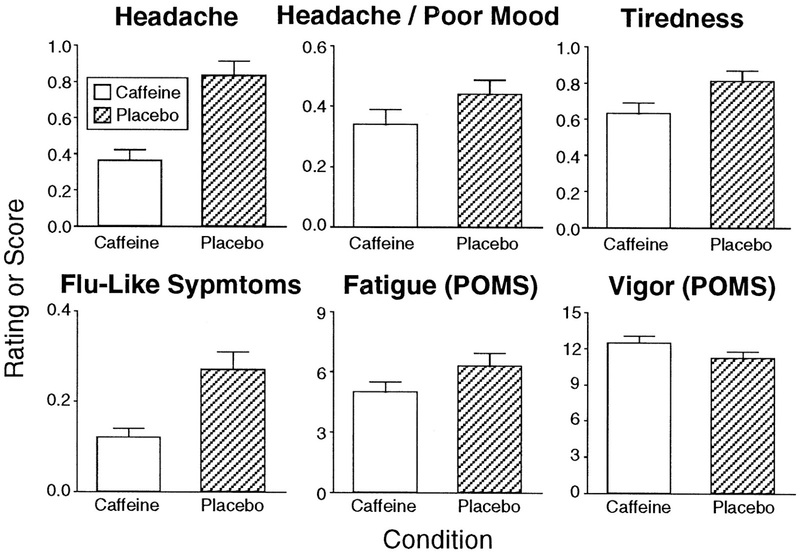 The rest that follows is on two other unrelated points about caffeine levels in teas, not the effects on people. One reference stands out on this subject, written by Nigel Melican. It covers two main issues: amount of caffeine in different types of teas, and if tea can be decaffeinated by discarding the initial infusion (something of an urban legend). Clear enough? Roughly speaking the caffeine is removed at the same rate as the flavor. People tend to expect other generalities, for example that green tea has more caffeine than black, or that white contains the most. Those measured amounts relate to theobromine (THEO), caffeine (CA), and Epigallocatechin (EGC). Only caffeine means much to me, but I've ran across health claims related to other compounds (with others measured in that study). 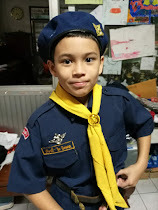 I won't mention any of that scope here. The most general conclusion I take from this: caffeine levels vary across different types, related to different factors. That first article cited a few main ones: related to plant type, plucking standard (types of leaves used), processing variations, and growing conditions. A few problems with the results in that table stand out: the amounts are listed in milligrams per gram of tea, not a familiar presentation (but it still does indicate relative amounts). And the results of testing these samples seem inconsistent, especially related to brewing time variation test results. But then other factors cause so much variation that might not stand out clearly. With proper research someone might pin down clearer generalities. Studies like this one could help if someone wanted to minimize their caffeine intake by choosing types with lower levels. It might not work to base that on just one research reference, since those might only describe results for the samples tested, not for the tea type in general. Awesome and informative blog post as we all know that tea also have some part of caffeine in it, so we have to take care about the amount which we have to take in a full day, for example if we sip green tea or black tea or whatever tea is your favorite , 5 to 6 times in a day then no doubt that this amount of tea is absolutely have negative affect on your body.Keep posting such informative stuff.